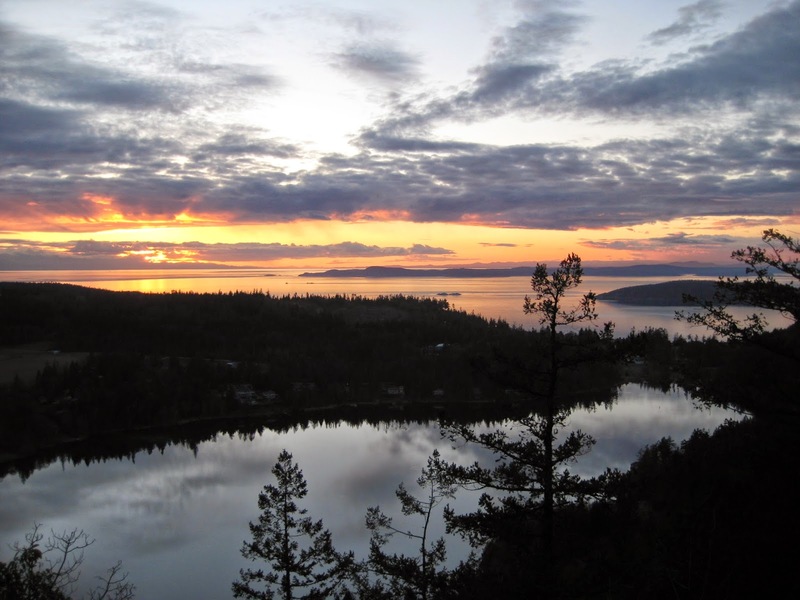 Mount Erie is a beautiful lone summit just off the ocean with beautiful views of the Cascade and Olympic Mountains. 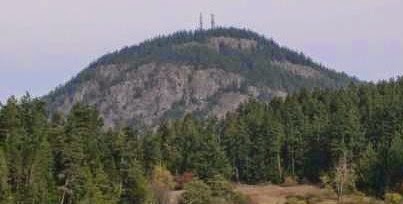 The peak stands 1,273-feet above sea-level, which is quite high considering there are no other substantial hills or mountains in the immediate area. The south side of Mt. Erie is comprised of steep and exposed cliffs and crags. 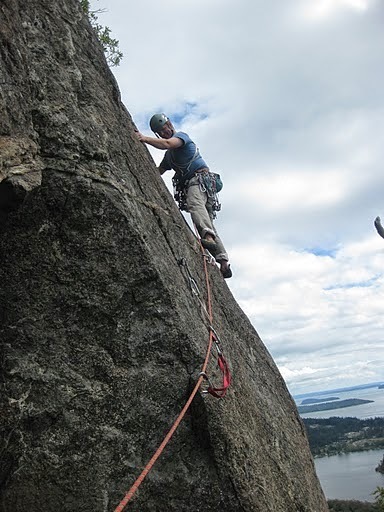 The American Alpine Institute regularly uses the area to teach all of our introductory rock programs. And though there is a lot of rock, there aren't that many multi-pitch lines. There is one though, that stands out as an outstanding outing. The Zig Zag route with the Springboard finish is an awesome line. It starts with two beautiful 5.7 pitches and then finishes with a very exposed 5.8 that requires one to walk out on a "diving board" dead snag to climb up a crack system. The route is absolutely phenomenal...and the views can't be beat either. A climber makes his way up the last few moves of the second pitch. The climbing is always fun and engaging. And the views cannot be beat. The final 5.8 pitch is steep, exposed and fun. Sunsets on Mt. Erie are astounding! I found the following video on YouTube. It's a little bit redundant, but it really gives you an idea about how cool the Zig Zag route can be.